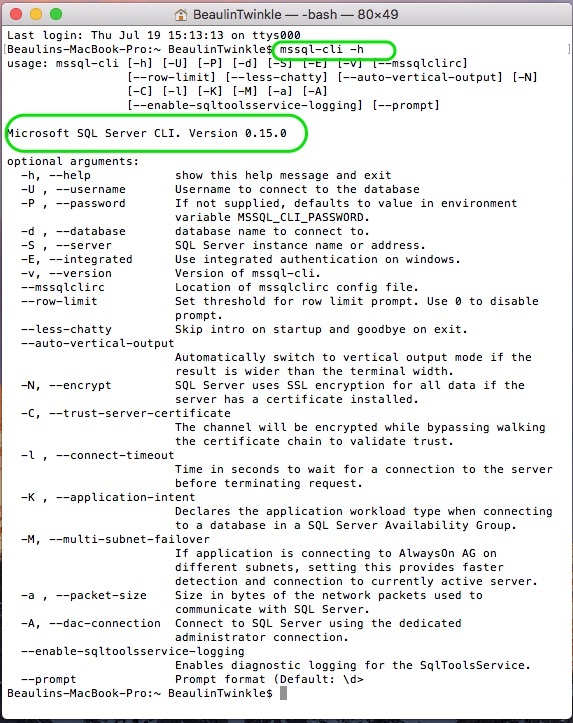 MSSQL-CLI or Microsoft SQL Server CLI is an open source, cross-platform, interactive and syntax highlighting command line query tool for SQL Server. It is an enhanced alternative to SQLCMD. Here we will see how to install MSSQL-CLI on macOS. macOS 10.12 (Sierra) or higher. For this demonstration, I’m using macOS High Sierra, MSSQL-CLI 0.15.0. 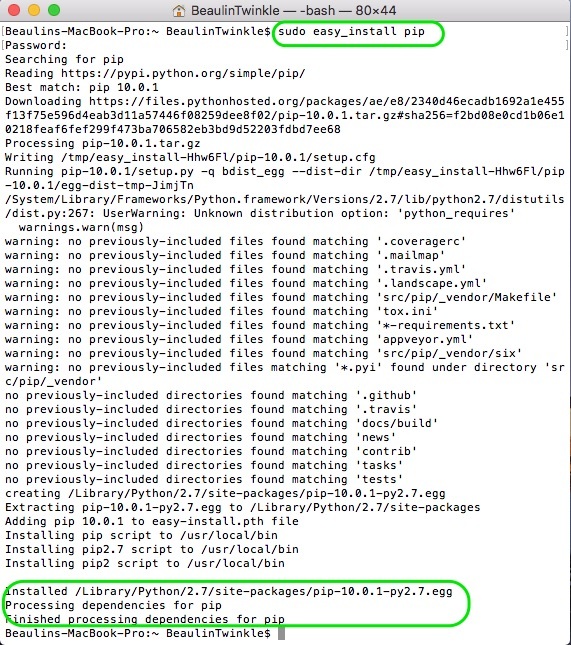 If the version is 2.7, then you need to install and upgrade PIP (Pythons package management system). Follow these steps to do so. 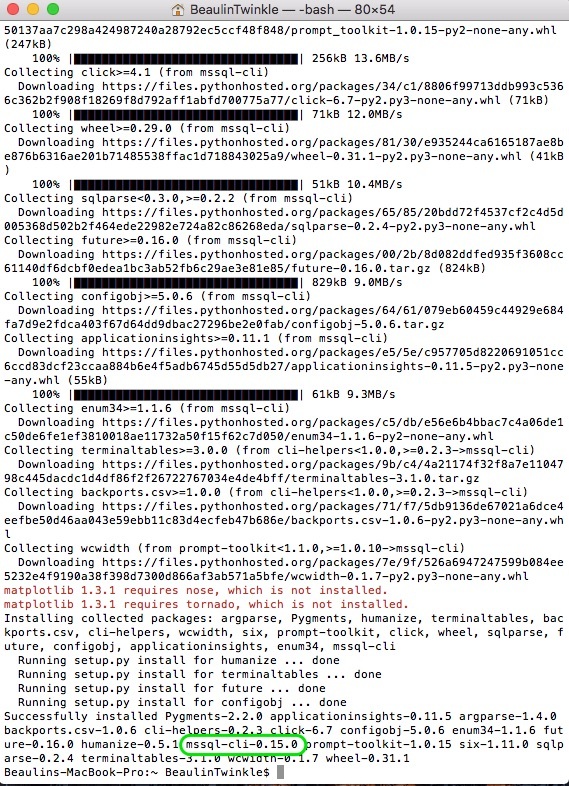 If you already have Python 3.6 or higher, ignore this PIP installation and upgrade steps and jump to the MSSQL-CLI installation steps below. If you notice, the easy_install command downloaded and installed pip and its dependencies. After installing and upgrading PIP, you can install MSSQL-CLI using PIP. In the terminal window, type in the below command and enter. The interactive SQL command line tool is ready for using. Read more about using and running SQL queries in MSSQL-CLI. Read about other major SQL Server management and development tools.